Website: CLICK HERE FOR MORE INFO & TICKETS! Plainfield Area Chamber of Commerce and the Friends for Charitable Giving, a volunteer organization, are pleased to announce the 2019 Plainfield Giving Gala! Our mission is to raise funds to support charitable causes in the Plainfield area, help those in need within our community, and have a wonderful time doing it! Throughout its history, Plainfield has always been a community that cares. Whether it was at the time of its founding, to the time of the tornado, or more recently, when our country faced difficult economic times, the people of Plainfield were always there to lend a helping hand. The Plainfield Giving Gala embodies that spirit of being there for those in need. Please join us as we embark on this worthwhile endeavor! 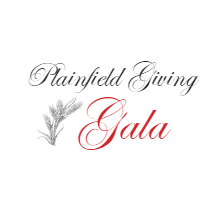 The many charitable organizations that serve those within our community count on your generous support, and The Plainfield Giving Gala is wonderful way to do just that! Thank you for your support and generosity, our Plainfield Community is stronger because of it!